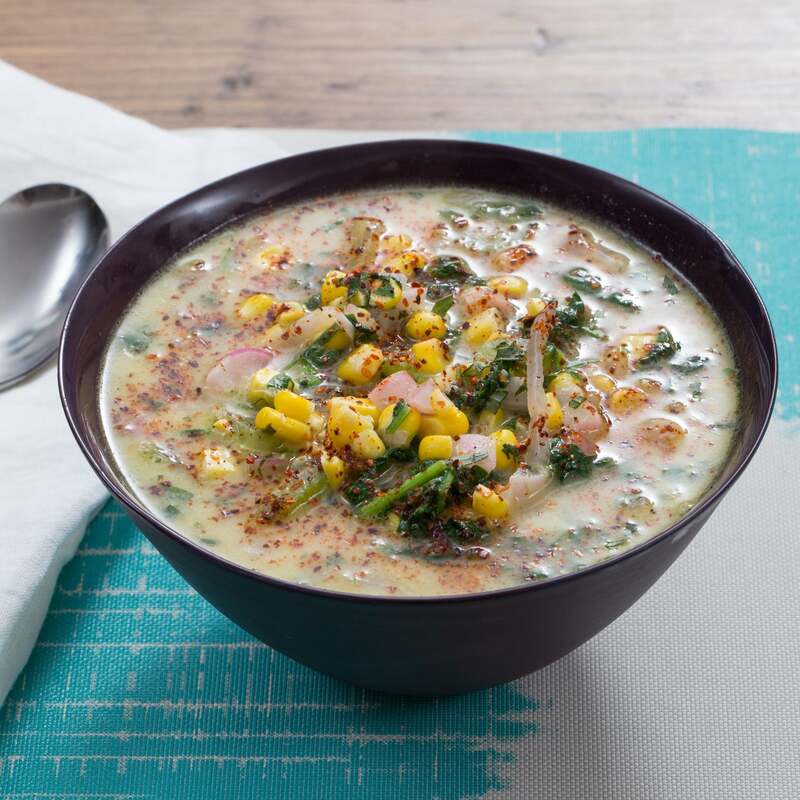 Summer Corn & Vegetable Chowder Fill 1 Created with Sketch. Aleppo pepper is an incredible variety of chile prized for its powerful flavor. Named for the ancient city in Syria (once a stop on the Silk Road), in its dried, crushed form, Aleppo pepper is a popular ingredient in the cuisines of the Middle East and Mediterranean. There, it’s prized for its moderate kick and vivid, subtly fruity taste. 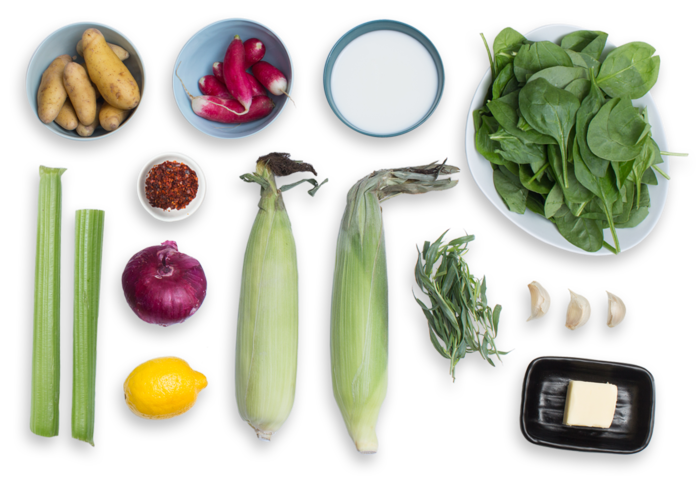 In this dish, we’re using it to add complexity and heat to a lightly creamy chowder brimming with seasonal produce. 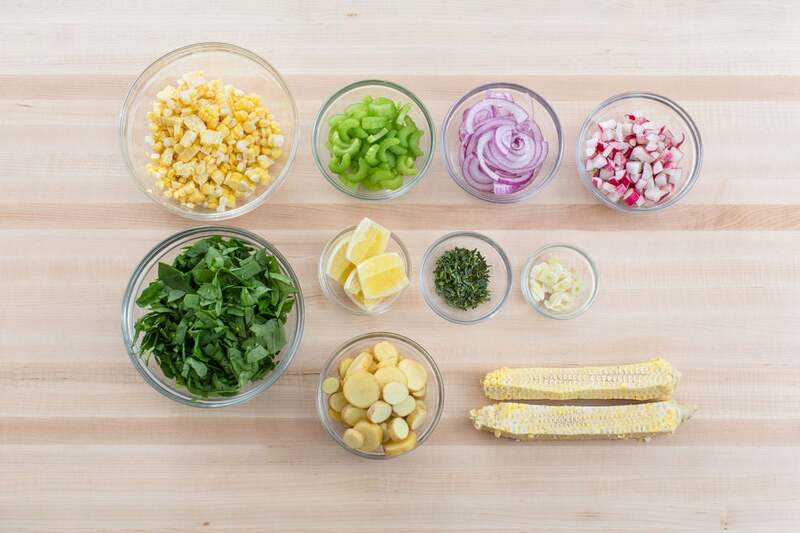 And for extra summery flavor, we’re boiling corn cobs together with the vegetables to enrich the broth. Wash and dry the fresh produce. Peel and thinly slice the garlic. Roughly chop the spinach. Remove and discard the husks and silks of the corn. Cut the corn kernels off the cobs; reserve the cobs. 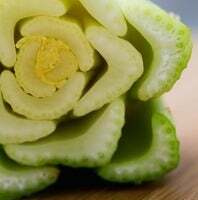 Thinly slice the celery. Quarter and deseed the lemon. Peel, halve and thinly slice the onion. Slice the potatoes into ¼-inch-thick rounds. Trim off and discard the ends of the radishes; small dice the radishes. Pick the tarragon leaves off the stems; discard the stems and finely chop the leaves. In a large pot, heat 2 teaspoons of olive oil on medium-high until hot. Add the garlic, onion, celery and potatoes; season with salt and pepper. 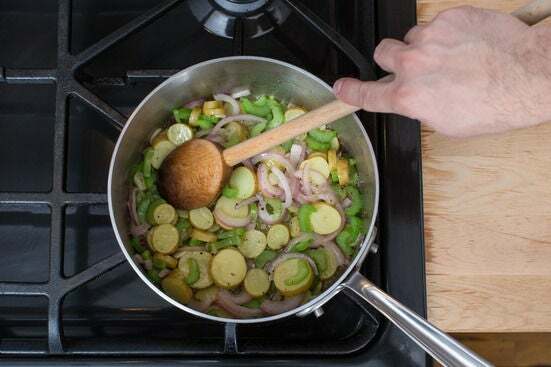 Cook, stirring occasionally, 3 to 5 minutes, or until fragrant and the onion has softened slightly. Add the corn kernels, corncobs, milk and 1 ½ cups of water to the pot; season with salt and pepper. Bring the mixture to a simmer, then reduce the heat to medium. 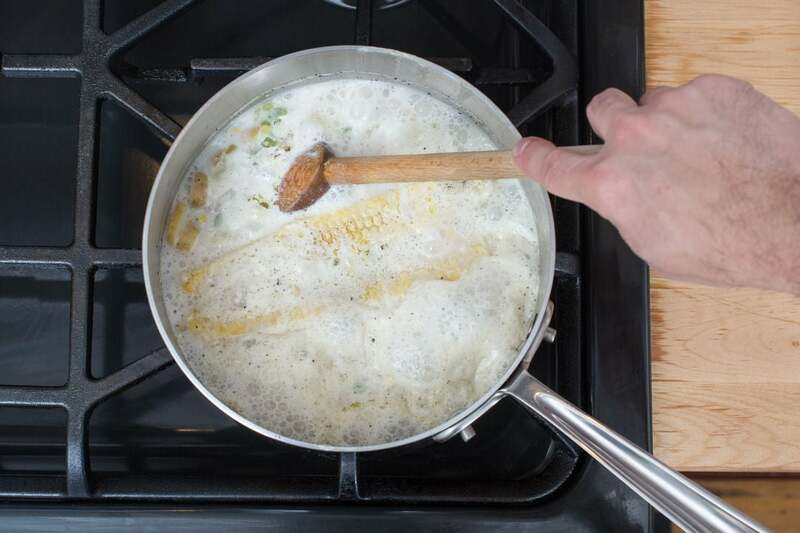 Cook, stirring occasionally, 5 to 7 minutes, or until the broth is slightly reduced in volume and the potatoes are tender when pierced with a fork. Stir the radishes into the pot; season with salt and pepper. Cook, stirring occasionally, 2 to 4 minutes, or until the radishes have softened. 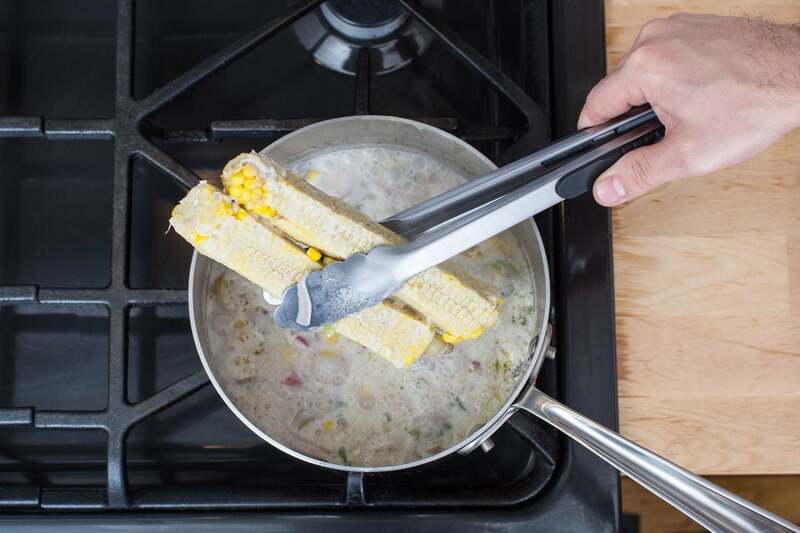 Carefully remove and discard the corncobs. 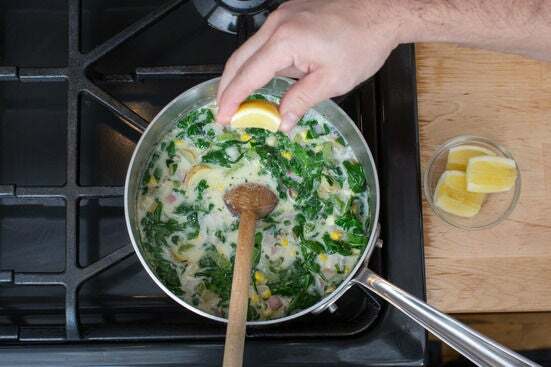 Stir the tarragon, spinach, butter and the juice of all 4 lemon wedges into the pot; season with salt and pepper. Cook, stirring occasionally, 2 to 4 minutes, or until the spinach has wilted. Season with salt and pepper to taste. Remove from heat. 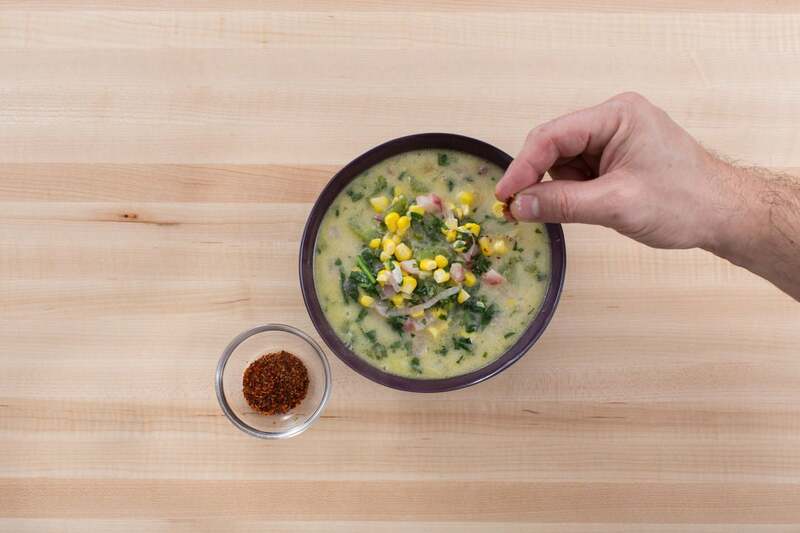 Divide the finished soup between 2 bowls. Top with as much of the Aleppo pepper as you’d like, depending on how spicy you’d like the dish to be. Enjoy!